Ready, set, zoom! These Kidoozie Motorized Mobiles are fast moving fun for little ones. Just turn on and watch them go! 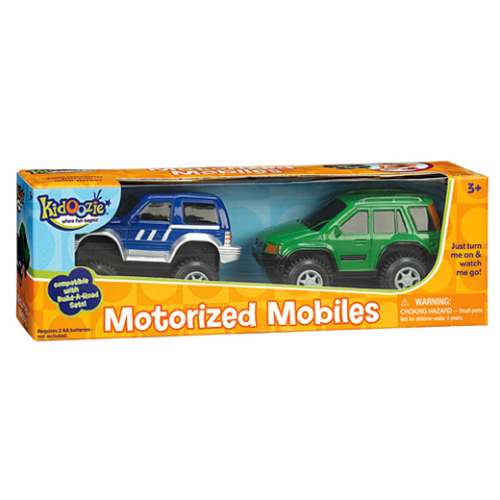 The Motorized Mobiles are great on their own or as an addition to any Build-A-Road set. 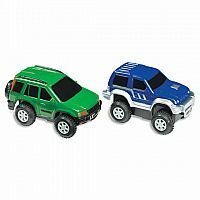 The blue and green vehicles are easy to grasp. Cars are approx. 3.25" long. Requires 2 AA batteries, not included. Measures approximately: 8.75 x 2.75 x 2.25 inches..